Veterans who have become homeless, or at risk of it, will be supported through an extra £1 million boost, the Communities Secretary, Rt Hon James Brokenshire MP announced today (20 March 2019). The money will help ensure those who have served their country have a roof over their heads and have the support they need once leaving the Armed Forces. The fund will be shared among the ten combined authorities and the Greater London Authority who will be able to use the funding to provide veterans with the bespoke support they need as they navigate civilian life. Do you live near Sheffield and want to support Team UK as a volunteer? Following the success of the Invictus Games in Sydney in 2018 and previous Games in Toronto, Florida and London, The Royal British Legion, Help for Heroes and the Ministry of Defence have designed a programme leading up to the next Invictus Games in The Hague in May 2020. •A qualifying event for selection for the Invictus Games 2020. All athletes who wish to be considered for the Games in 2020 must attend the Trials. 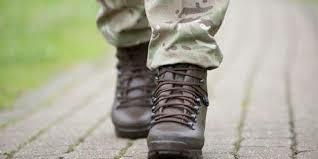 •The UK national championship for wounded, injured and sick service personnel and veterans. Therefore, this event is also suitable for those who wish to compete in adaptive sports but have not wish to be selected for the Invictus Games in 2020. We are excited to announce that there will be a full volunteering programme in support of the UK Team Trials. Volunteer roles will be across a range of workstreams, including ticketing, stewarding, information desk, field of play support and fundraising. Some roles require specific skills, while others are available to anyone regardless of their previous experience. Volunteers must be available for the full week from 22-26 July 2019, which significantly increases the efficiency of the volunteer programme and reduces the load on support staff to keep re-training volunteers. Accommodation will not be provided as standard for volunteers, unless there is a valid reason to do so e.g. individual has a specific skill required for the Games. One meal will be provided per shift for each volunteer, in the form of a packed lunch. If you would like to volunteer your time to support Team UK at this event, please complete the information on the below link, so that we can keep you informed with volunteers updates. This form registers your interest but doesn’t confirm that you will be able to volunteer at the Team UK Trials Sheffield 2019. As most of you know, The Armed Forces and the Third Sector Military Charities are actively searching for improved means of identifying, treating and supporting past and current members of our armed forces, along with their families who are coping with the day to day challenges of PTSD. One vital aspect of this challenge is to generate a greater awareness of the topic across the wider communities that can help support those servicemen, servicewomen and their families in achieving a better quality of life. The team at RBL Galanos House been invited to one such initiative; giving them an opportunity to learn more about PTSD, its effects on individuals and families; and how they can be supported. Members of the team at the Vamos Theatre in Worcester have already shared their expertise at RBL Galanos House, adding to the growing list of experts who make such a difference at this multi-award winning retirement home. Finally, they had a knowledge sharing day at Vamos Theatre recently, which was a celebration of theatre venues becoming dementia friendly. You might be interested to read more about it..
Take the time to have a look at the links above, you won’t be disappointed. The movement is called the Forces Wives Challenge (FWC), and the main aim is to “acknowledge the community of Forces Wives and partners as a group of resilient and dynamic women with careers, skill-sets and experiences of their own, that can be harnessed towards a common goal. This got Heather thinking about what could be achieved if these groups of women worked together, and so the Forces Wives Challenge was born. An ambitious challenge is exactly what the team set themselves for their flagship expedition because right now the ladies are ascending Ojos del Salado in Chile. As if climbing the world’s highest volcano wasn’t challenge enough, the team have also set themselves a second target – to raise £10,000 for The Royal British Legion (RBL). The RBL provides lifelong support to the Armed Forces Community, including partners and their family members, and it’s for this precise reason they are the FWC’s chosen charity – because of the ways in which The Legion helps to build community connections. Follow the team’s progress here. 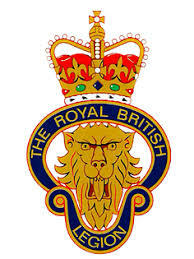 Support the Royal British Legion by donating to the team here. Find out how you can achieve anything here. A SNP MP has called on the UK Government to urgently amend immigration rules to allow the families of Commonwealth soldiers serving in the British Army to come to the UK. Drew Hendry MP was speaking on behalf of his constituent, Lance Corporal Dennis Omondi, originally from Kenya, whose daughter Ann was denied a visa to come and live with him. “Commonwealth troops should be able to bring their kids to Britain – if they fight for us, they should be able to live with us”. Immigration minister Caroline Noakes said she could not comment on the specific case but insisted the Government was sympathetic and recognises the “contributions and sacrifices made by Commonwealth members of the forces”. In February, the Home Secretary faced increasing pressure to change immigration rules so Commonwealth soldiers in the British Army could bring their families to the UK. Senior MPs called for serving Armed Forces personnel to be exempt from the minimum income threshold due to their service to the country. Under current immigration rules, foreign workers must earn £18,600 to apply for their spouse to live in the UK. The minimum income requirement to bring over one child is £22,400 with an additional £2,400 for each child thereafter. A soldier’s basic pay after training is only £18,600 a year, forcing many to take on second jobs to afford to move their families to the UK. It follows the scrapping of British residency requirements for Commonwealth citizens who wish to join the Armed Forces. The Ministry of Defence (MOD) removed the need for Commonwealth citizens to have lived in the UK for five years before applying for service. Applicants from nations including India, Australia, Canada and Fiji are now considered for all roles in the forces, without having lived in Britain. A new sculpture incorporating more than 4,000 replica bullets has been unveiled to mark the 75th anniversary year of D-Day. The creation, titled D-Day: Soldiers of Sacrifice has been created in tribute to the 4,414 Allied servicemen who lost their lives in the first 24 hours of the Allies’ invasion of Normandy. The figure represents Denham Brotheridge, widely believed to be the first Allied serviceman to be killed by enemy action on D-Day, atop 4,414 bullets, representing his comrades in arms who fell in battle later that day. Lieutenant Brotheridge of D Company, 2nd Oxfordshire and Buckinghamshire Light Infantry, took part in a surprise raid on bridges, landing in occupied France via gliders with his men. The 28-year-old was mortally wounded in the attack which secured the bridge at Benouville. Back home in Smethwick, Birmingham, his wife was pregnant with his daughter, Margaret Brotheridge. Now aged 75, she will accompany the sculpture of her father after its unveiling in Manchester today, as it goes on a national tour of the UK and Normandy ahead of official commemorations in June in Portsmouth. The soldier’s form is crouched down as if to throw a grenade, but instead he is releasing a dove; symbolising peace and acknowledging that the soldiers’ deaths were not in vain. Funded by the National Lottery, it was commissioned by ‘The D-Day Story’ museum in Portsmouth, the UK’s only museum dedicated to Operation Overlord, the campaign to liberate Normandy from the Nazis, beginning on 6 June 1944. Welsh artist Alfie Bradley, best known for his Knife Angel made from 100,000 knives surrendered during amnesties, created the sculpture. He said: “This has been such a meaningful project, and I’ve loved working with The D-Day Story to create this lasting tribute to the heroes that gave their lives for us in World War Two. “Den Brotheridge was 28, the same age I am now, when he died. “I can’t even begin to imagine how terrifying it would have been to land on the beach in Normandy that day. Jane Barnard from The D-Day Story museum said: “We’re thrilled to be commemorating the 75th year since the D-Day landings with such a poignant and meaningful sculpture. “We have chosen locations close to the heart of Den and World War Two and it’s fantastic his daughter has been able to join us for the tour, her stories of her father are truly captivating and emotive. March 4: The Piazza, Media City, Salford. March 5: Liverpool Parish Church (Our Lady and Saint Nicholas). March 6: Villa Park, Birmingham. March 7: Waterloo Station, London. March 8: Bletchley Park, Bletchley. March 9: South Parade Pier, Portsmouth. March 10: Pegasus Beach Bridge, Normandy, France. March 11: The D-Day Story museum, Portsmouth. Aged 91, Ted is now about to embark on one, final journey back to the beaches of Normandy as part of the Royal British Legion’s 75th Anniversary of D-Day commemoration. They still have 100 places left for veterans who may like to make the historic journey and sail back to Normandy for one last time to pay their respects. When the 50th Commemorations took place, I was lucky enough to accompany my late father, Ron, a veteran of the D-Day landings who fought at Sword Beach and also at Dunkirk and Arnhem. My Dad refused to wear his medals at the Drumhead Service on Southsea common, attended by The Queen, Prince Philip and Princess Diana as well as French and American heads of state such as Bill Clinton. A very reserved man, he never liked to be ‘showy’ preferring others to take the credit instead. But he proudly marched, his head high and it was a moment I’ll never forget. Ten years later, I had the privilege to run Portsmouth City Council’s PR campaign for D-Day 60 and met many incredible veterans who had served. However, their number was dwindling even then.Now with D-Day 75 looming, the British Legion is asking if any former veterans would like to be involved in the crossing. At the Annual Conference Committee meeting this week we discussed the Motions that many of you have raised in preparation for Annual Conference this year. As you will all be aware there is a Charter Motion that has been put forward by the Board of Trustees this year, of which the full information is due to be provided to Branches in the upcoming March Circular. The Committee felt that there was a lot of information to read and digest with regards this Charter Motion and concerns were raised that if we wait until later in March to send out this information, that some Branches may not have meetings scheduled in order to meet and discuss (e.g. Branches that meet every other month etc.). Therefore we took the decision to send the Royal Charter Motion Pack to you all via email now. Please can you ensure that this is forwarded to your Branches. Please note that a printed copy will continue to be provided as part of the March Circular. I look forward to seeing many of you in Bournemouth.